Here is a Special Link to 2003 Graduates Guestbook . . .
A 10th Reunion Cocktail Reception is planned for Friday, July 5th, 2013 from 7-11pm at the Pearl Street Grill, 76 Pearl Street, Buffalo. Tickets are $25 per person and include a Buffalo station, garden bar and appetizers. Cash bar is available. To rsvp and purchase your ticket contact Aimee Cooper at 716-930-7011 or email aanderson1114@yahoo.com. This is a adult reception only. 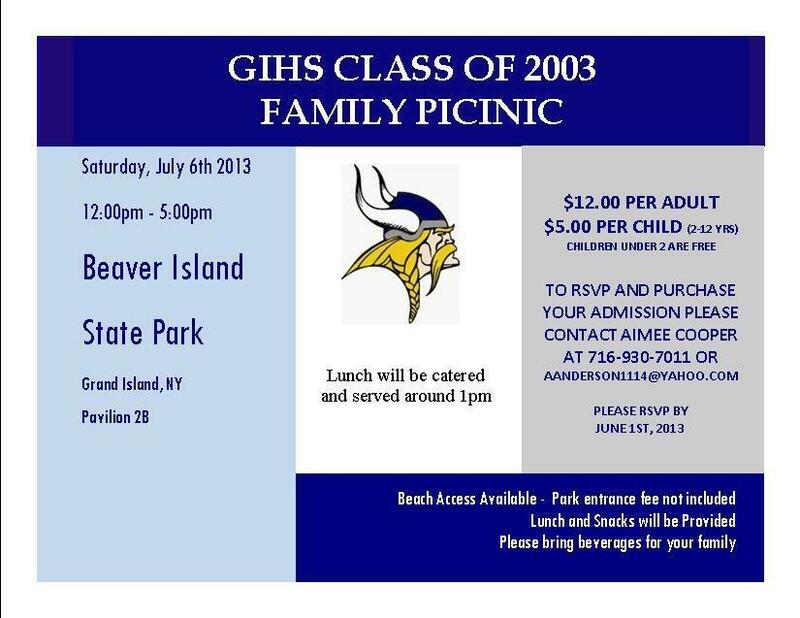 A family picnic will be on Saturday, July 6th from 12-5, see info.